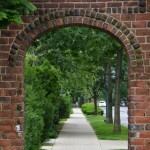 Visitors to Forest Hills Gardens who find themselves beneath its arched entryway often feel as if they’ve entered a portal to another place and time. The entry plaza, Station Square, with its architecturally stunning manor house fronted by patterned brickwork, topped by a domed tower and surrounded by arcaded walkways, resembles some version of an Anglo-German country manor crossed with a fairytale village. A gracefully curving gate shelters the neighborhood; shared green space anchors it. One of the main reasons the Gardens has retained its nature is the covenant that was set in its earliest days. 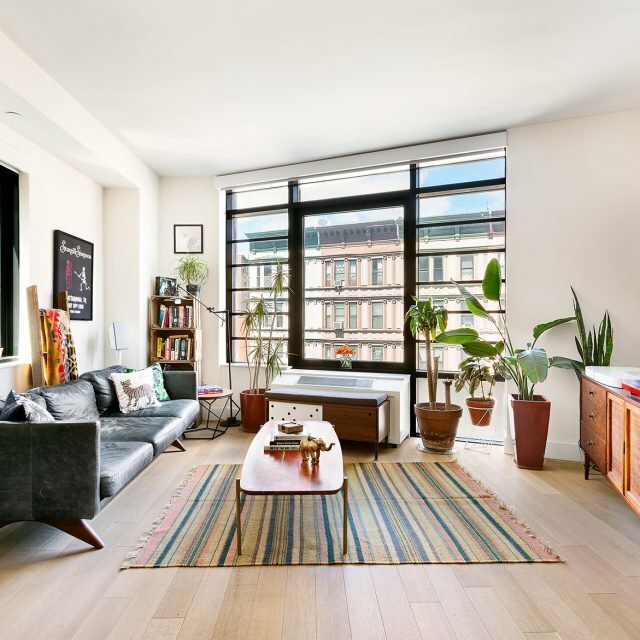 A New York Times article recently questioned the relevance of the covenant to 21st century life while also highlighting its importance in making this community such a magical and desirable place. 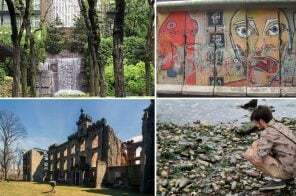 This issue is destined to become more prominent as this under-the-radar enclave is increasingly discovered. The Garden Cities Movement in early 20th century England was popularized by British urban theorist Sir Ebenezer Howard, inspiring a crop of British “garden cities.” Though intended to be more practical than utopian in nature, garden cities were a somewhat nostalgic urban planning concept that envisioned self-contained communities of working people surrounded by “green belts,” containing proportionate zones for homes, industry, and agriculture. 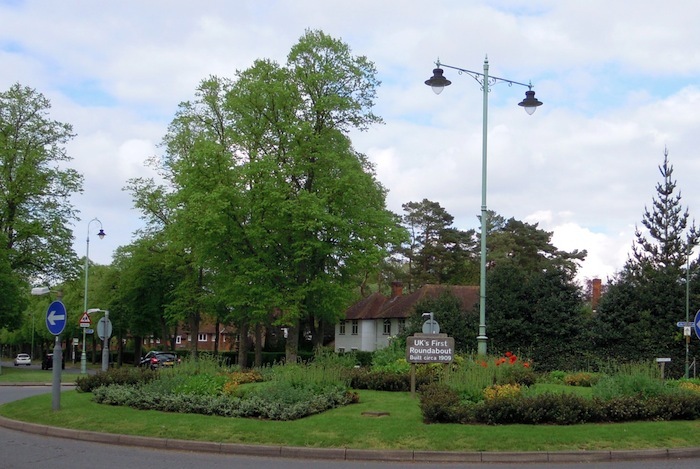 Letchworth, England: The original garden city. Image wikimedia cc. 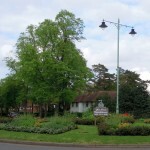 In a way, Howard was outdone by his own success: Letchworth, the first of the English garden cities to become reality, attracted an increasing number of residents and businesses through low taxes, low rents, and plentiful living space. 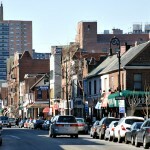 Though the community was considered a success, home prices could not remain affordable for blue-collar workers for long. 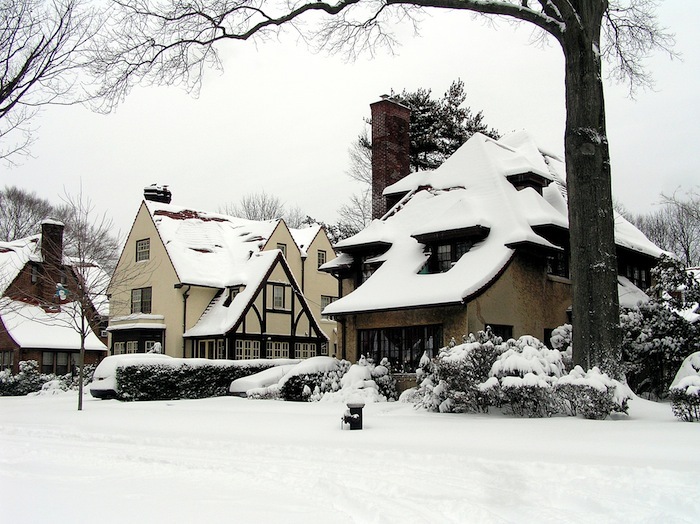 In the United States–in addition to Forest Hills Gardens–similar communities modeled on the garden city idea exist in Garden City, Sunnyside, and Jackson Heights in Queens, as well as other locations throughout the country including Pittsburgh’s Chatham Village; Radburn, New Jersey; Greenbelt, Maryland; Buckingham in Arlington County, Virginia; the Lake Vista neighborhood in New Orleans; the Village Green in Los Angeles; and the Cleveland suburb of Shaker Heights. 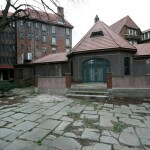 In 1909, the Russell Sage Foundation bought 142 acres of Forest Hills from the Cord Meyer Development Company. 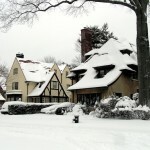 The Foundation hired renowned architect Grosvenor Atterbury and landscape architect Frederick Law Olmsted Jr. to design Forest Hills Gardens. 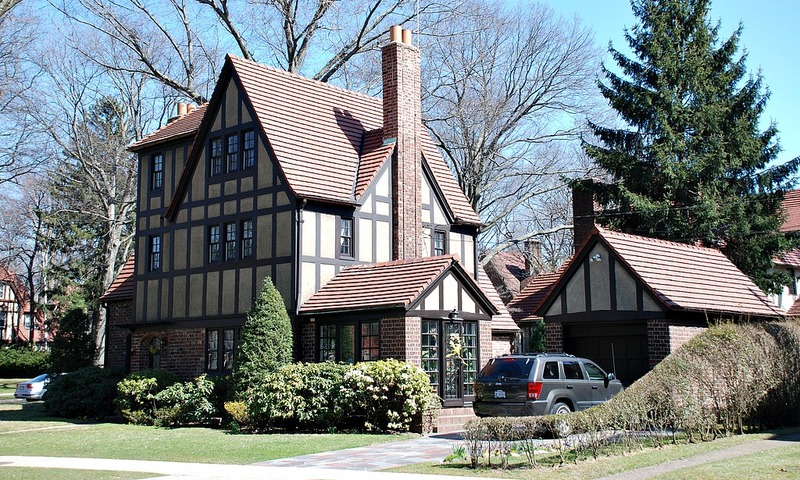 Atterbury’s love of the Tudor style gave the community the aesthetic that still defines it today. 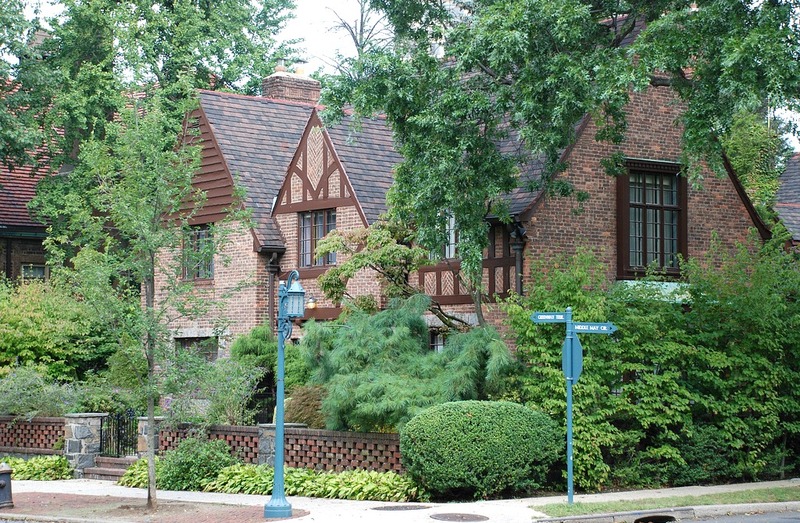 Along the avenues that branch out from Station Square, massive, elegant Tudor-style homes boast towers, spires, Norman-style turrets, fancy brickwork, exposed half-timbers, red tiled clay and gabled roofs, and mullioned windows. 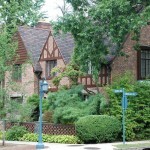 The Arts and Crafts style popular in the 1920’s can also be seen in the Atterbury-designed homes. 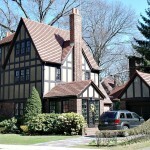 Tudor homes in Forest Hills Gardens. 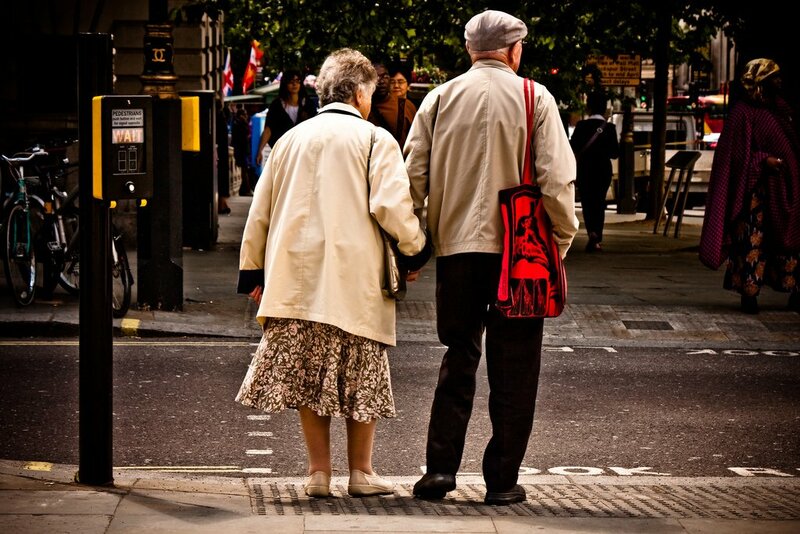 Image by gmpicket via flickr. 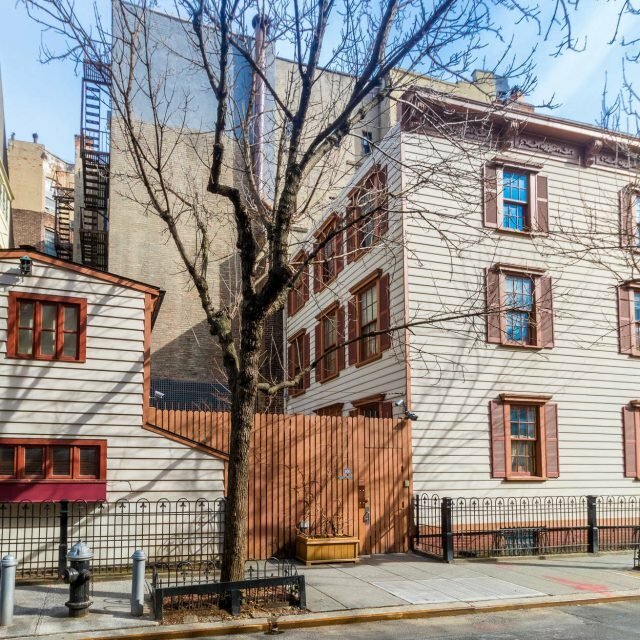 Grosvenor Atterbury embraced modern innovation as well as history; a new prefabricated building technique created wall slabs to increase construction speed and keep down costs, especially when building row houses. Each house was built from approximately 170 standardized precast concrete panels, fabricated off-site and set into position by crane. 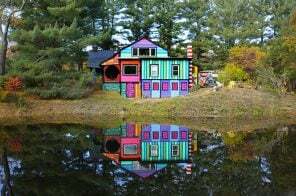 In the community’s early days in 1913, in order to preserve the idea of “country living in the city” as an alternative to cramped New York City flats, a covenant was put in place limiting industry and creating a lasting residential haven. Most importantly, the covenant prevents exterior alterations to homes without express approval. 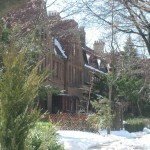 The covenant, still in place today, is overseen by the aforementioned Forest Hills Gardens Corporation, and new owners must sign it when buying property. 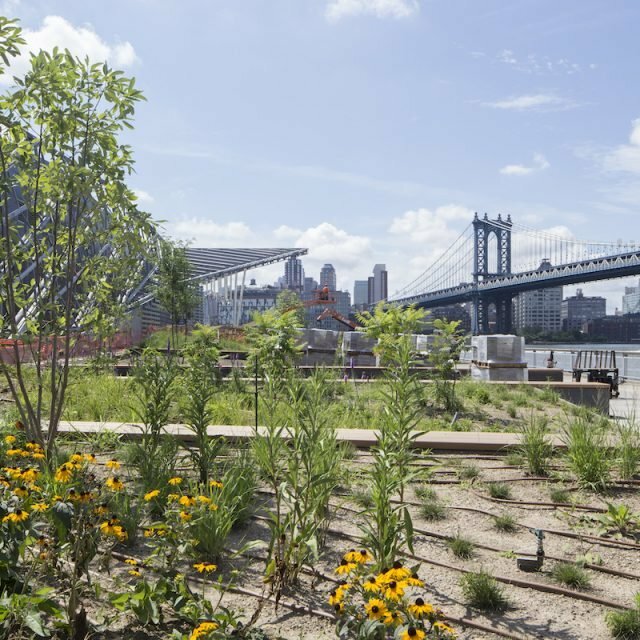 The Corporation also oversees street paving, sidewalks, security, parking, and landscaping (it installs about 70 trees a year), along with events and committees. Mandatory community maintenance fees are levied annually. 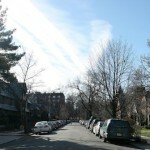 Visitors may not park on a street in Forest Hills without a sticker saying they’re the guest of a resident. It is worth nothing that while many private communities in the mid-20th century were notorious for their exclusionary practices, the covenant never contained explicit economic, social, or racial restrictions. 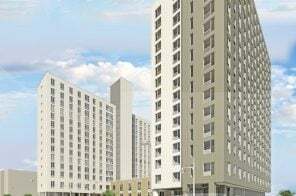 The less-often mentioned (and more affordable) adjacent communities of Forest Close and Arbor Close are situated just outside Forest Hills Gardens. 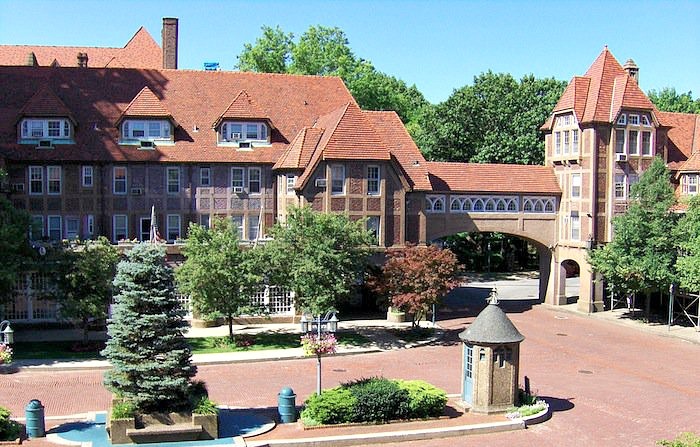 These smaller communities are similarly bound by covenant to maintain their Olmsted-era charm, and they also consist of 1927 Tudor rowhouses and apartment buildings with central gardens. Forest Close (right side) and Arbor Close (left side). Image: Michael Perlman, Chair of Rego-Forest Preservation Council. 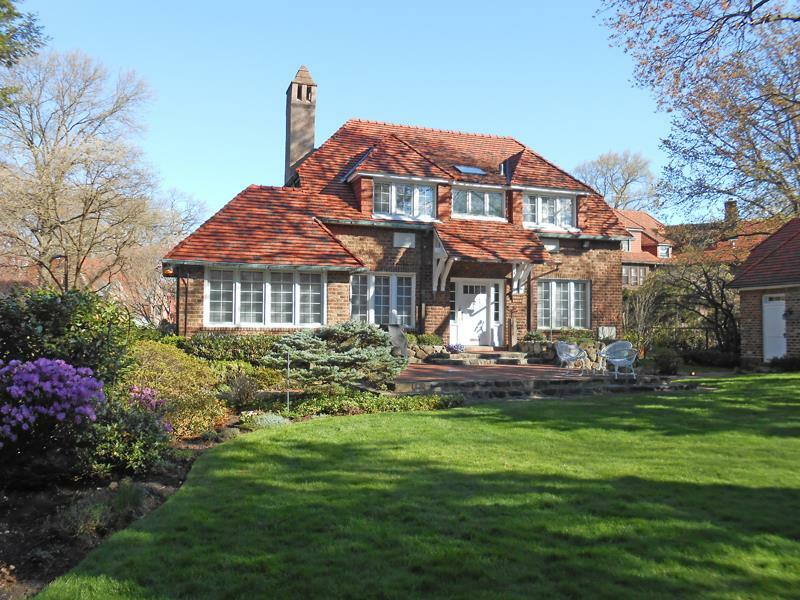 The Forest Hills Gardens of today is generally known for offering some of the most expensive residential properties in Queens County. But the neighborhood and its smaller brethren are the only private communities of their kind in the borough. 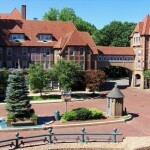 Named “Best Community” in 2007 by Cottage Living Magazine, some count Forest Hills Gardens among the best neighborhoods in the city, with easy access into Midtown via E, F or R subways from the Forest Hills stop; the express trip takes about 20 minutes. The Long Island Rail Road also leaves from Station Square and arrives at Pennsylvania Station in about 15 minutes. 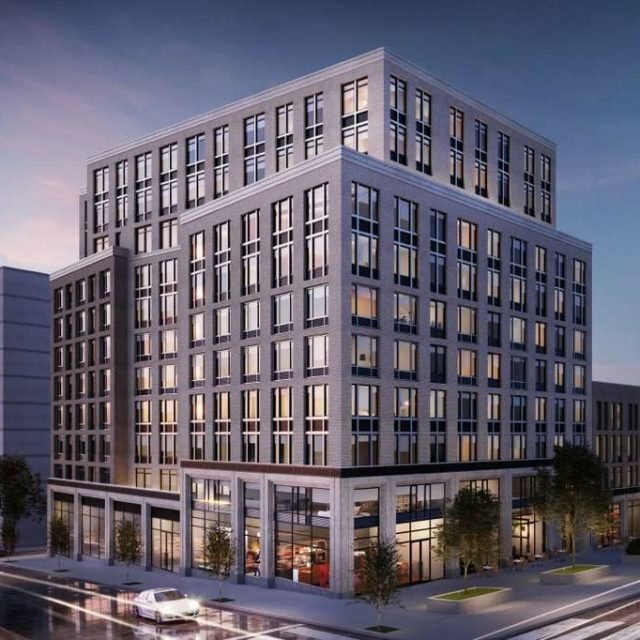 Just a block or two outside Forest Hills Gardens, Austin Street and 71st Avenue offer restaurants, shopping, and other amenities. 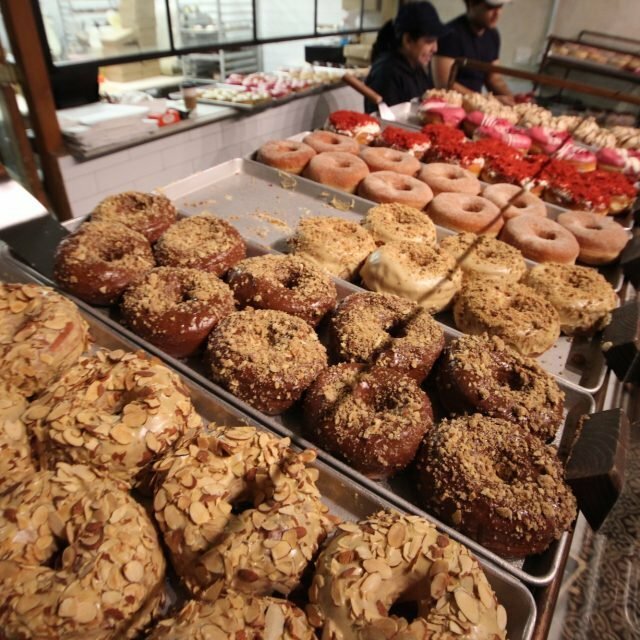 A 15-minute walk to the south through the Gardens is Metropolitan Avenue, known for antique shops and a burgeoning foodie scene. Until 1978, the West Side Tennis Club drew the international spotlight each September for the prestigious U.S. Open Tennis Championship; the stadium was also host to legendary bands like the Who and Chicago. 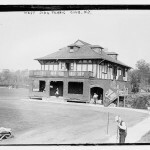 Though the tournament has since moved to neighboring Flushing, the West Side continues to operate as a tennis club. 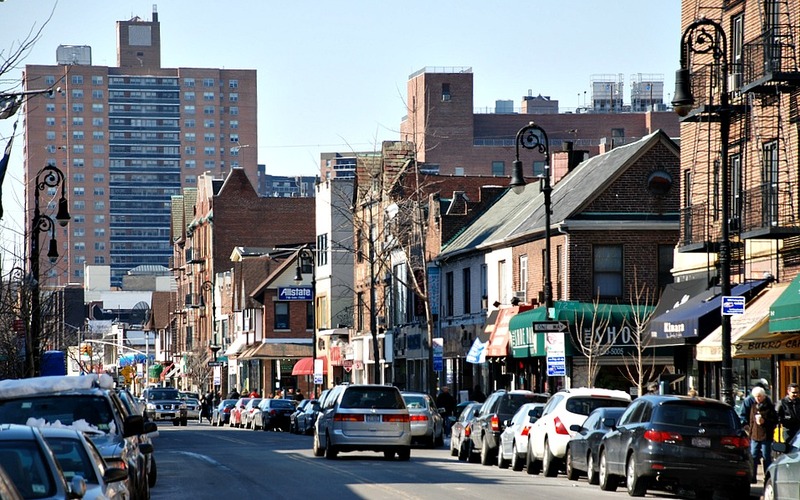 Outside these planned communities, Forest Hills offers a mixed bag of houses and apartment buildings of varying architectural styles and sizes. 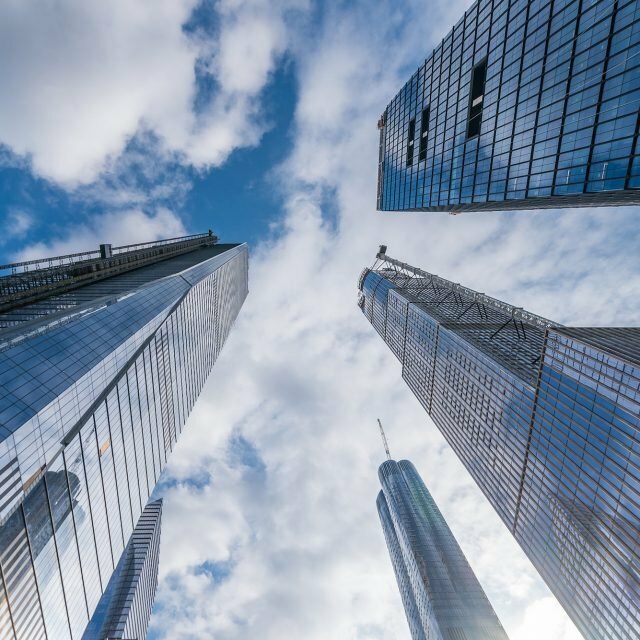 In some areas, wealthy new residents are tearing down older homes and building outsized new “McMansions.” Signs of the unavoidable NYC luxury building boom include the 21-story Windsor, completed in 2005 and consisting of 95 Manhattan-esque luxury apartments. 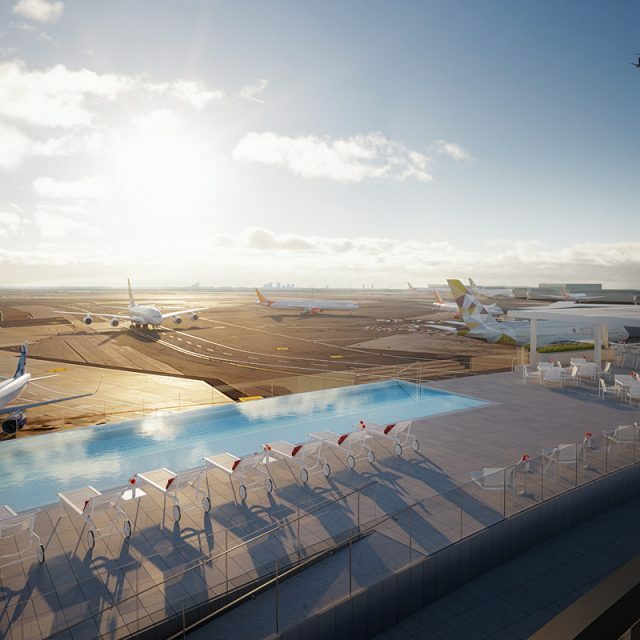 The 128,000-square-foot tower offers one-, two- and three-bedroom units as well as a fitness center, roof deck and observatory, an attended lobby, and a multi-level parking garage. 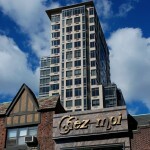 Kennedy House is a huge soaring tower on the north side of Queens Boulevard; there’s a pool on the roof. 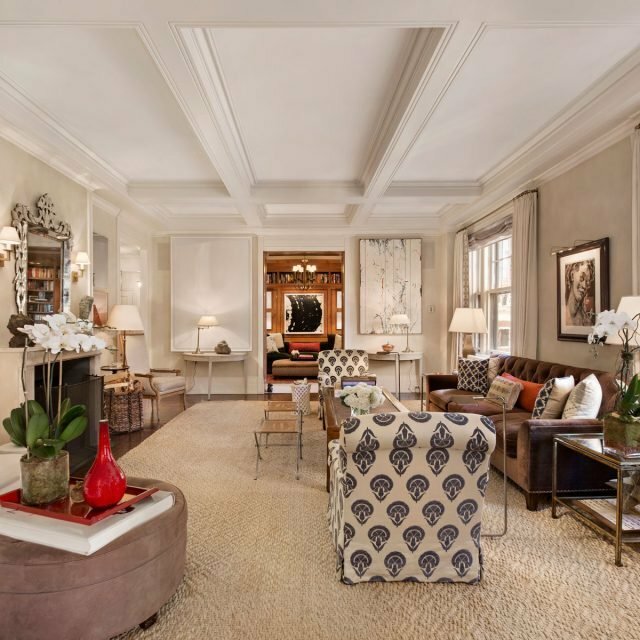 This stately Atterbury-designed historic FHG mansion is currently on the market for $2.5 million. 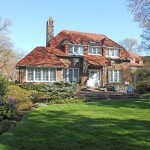 Image: Terrace Sotheby’s International Realty. The big picture reveals an interesting convergence: You have an ideal community that exists because of an experimental idealistic social model created over a century ago. Yet this model has come full circle in that it embodies the recent sea change in the way Americans desire to live in cities and communities. 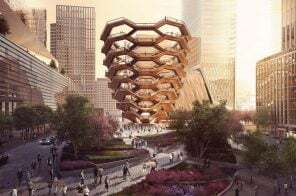 So maybe there won’t be an imminent influx of NYC hipsters, young and broke and looking for dive bars and raw warehouse spaces and creative energy. And the concept of gentrification begs the question; the gentry are already here. 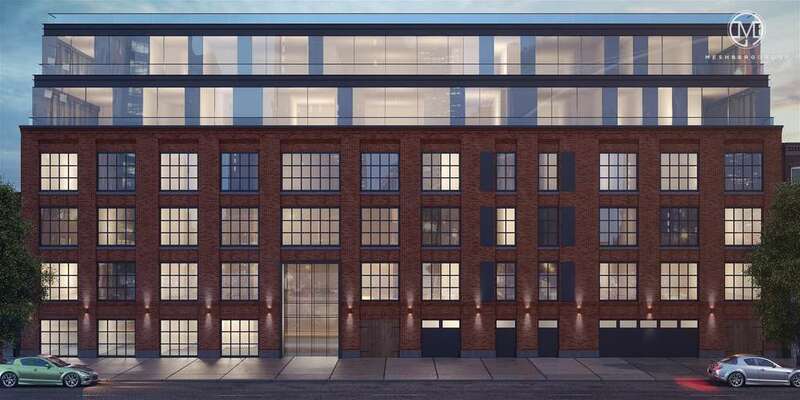 But a certain kind of smart, in-the-know (and likely well-heeled) grown-up (perhaps the one who a decade ago headed for Brownstone Brooklyn or further afield to Westchester County) is choosing this unique community in increasing numbers. 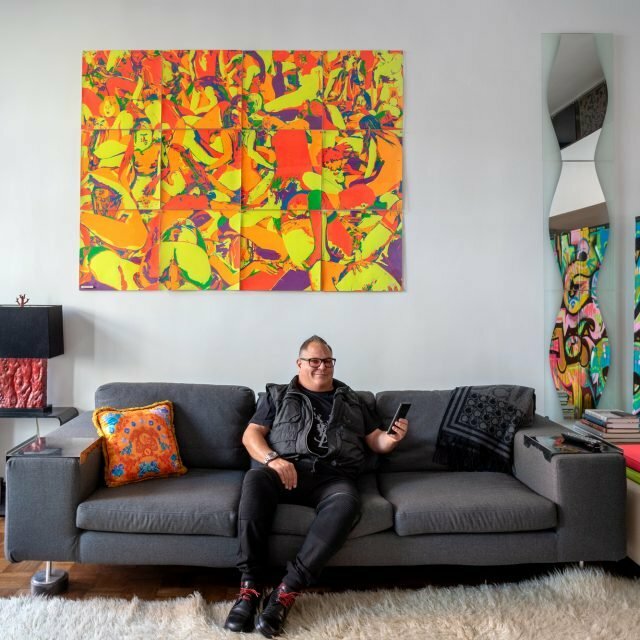 Being a hidden gem may have served the neighborhood well, but the secret may be out; hopefully whatever happens next will see the continuation of the idyll and uphold the precedent of combining modern life with respect for history and community. 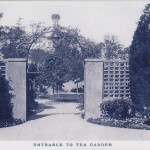 Entrance to Tea Garden, Forest Hills Inn, Early 20th Century. Image courtesy of Michael Perlman, Chair of Rego-Forest Preservation Council. Rear of the Tea Garden today. Image courtesy of Michael Perlman, Chair of Rego-Forest Preservation Council.